As someone with very fair, sensitive skin and freckles, the search for the perfect foundation has always been a challenge. I’m not one to cover up my freckles altogether, but let’s face it we all need a smooth foundation of makeup on our faces to even out our complexions. Recently, the team at Vichy took me up on my challenge. 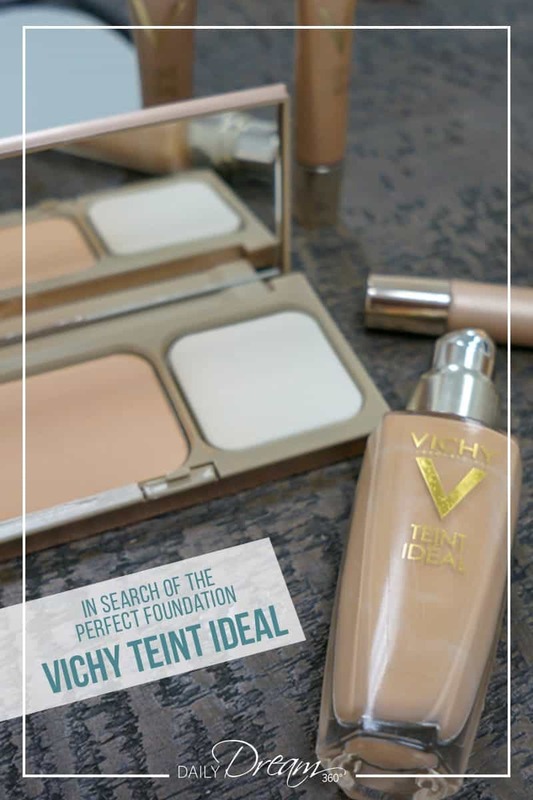 They invited me in for a foundation consultation with their new line Vichy Teint Ideal. While I can’t see myself using all these foundations in one application as they did for me during my consultation, I did find that each product she recommended was the perfect match for my skin. I do use these various bases in some combinations and on their own. This is especially true when I am travelling. 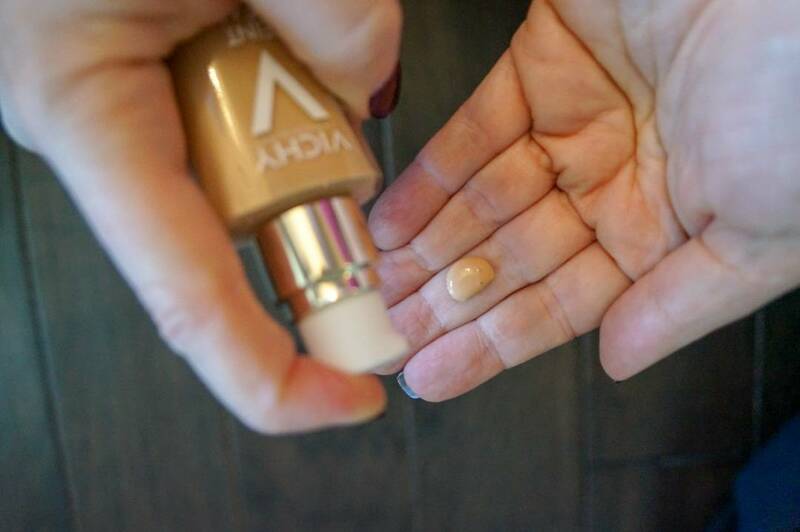 I tend to pack more hair products in my liquid allowances than makeup creams and fluids, so I have lots to say about each of these foundations and how well they fit into carry-on travel. With sensitive skin, I tend to shy away from using liquid foundations. I don’t like that heavy makeup feel on my face for day to day wear. 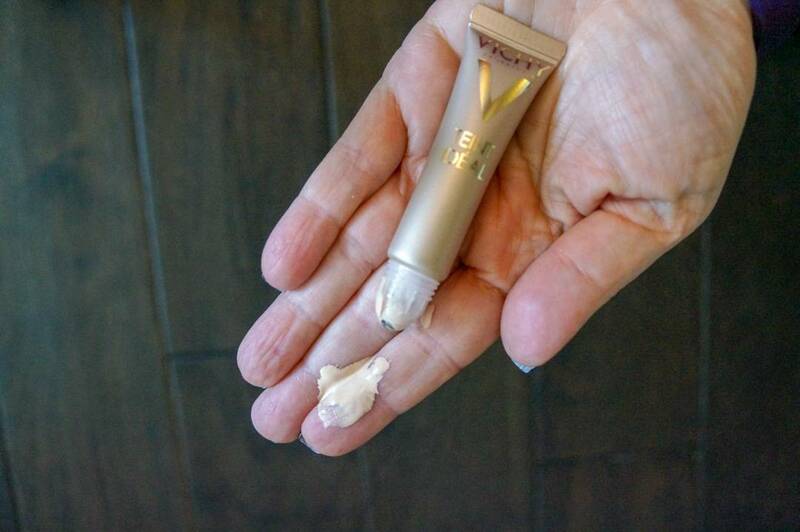 What I liked about this fluid base is that it had a creamy texture but was still lightweight. 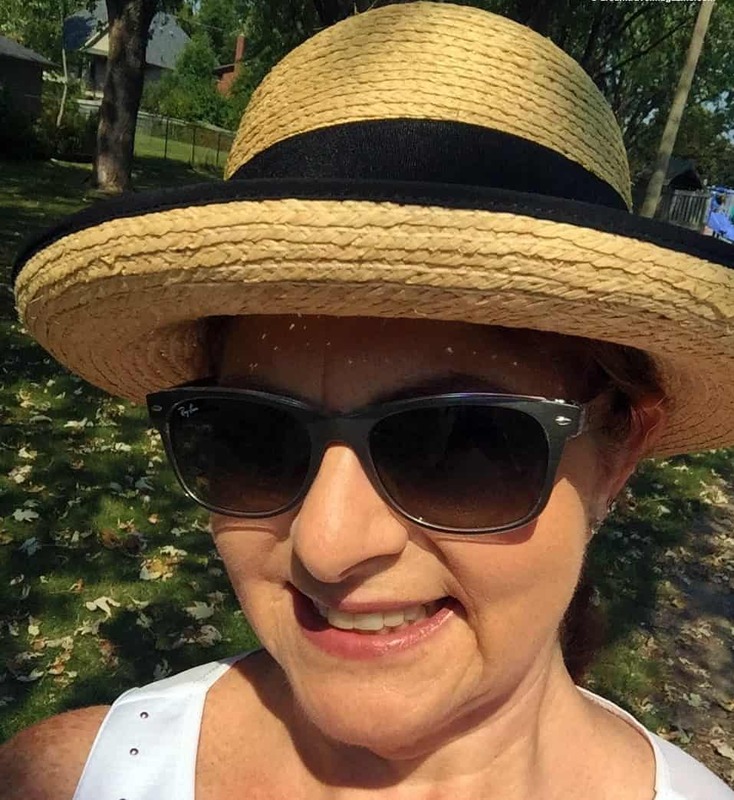 The colour chosen for me was “25 Sand”, and I liked that my freckles showed through and the mild redness on my cheek and nose were covered nicely. Travelwise, it’s not going to make it into my carry-on luggage. The bottle is made of glass which makes it heavier even though it meets the restrictions as it is only 30 ml. 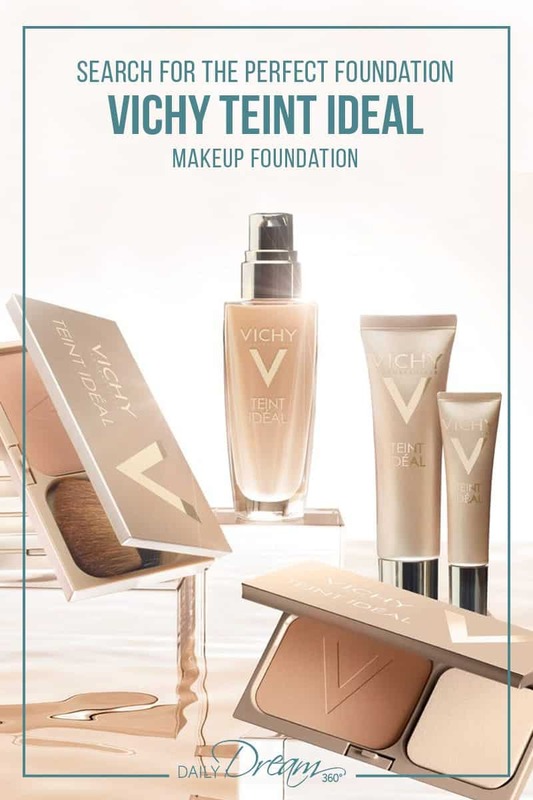 For the Vichy cream foundation, I was matched with the fairest shade “15 Ivory” which is great for the winter months when my skin is at its fairest. I had my consultation in September when my skin was still a bit darker from the summer months, so this was combined with the darker shade of fluid makeup described above. As the fluid, the cream is not too thick and glides on the skin smoothly. It is lightweight and blends into my skin tone while letting my freckles shine through. Travelwise, I love this packaging. Again 30 ml, but the plastic light tube is thin enough that I can squeeze it into the 1-litre fluid bag when travelling carry-on only. Powder foundations have become my go-to makeup. They are quick and easy to apply, are super lightweight and provide just the right base. 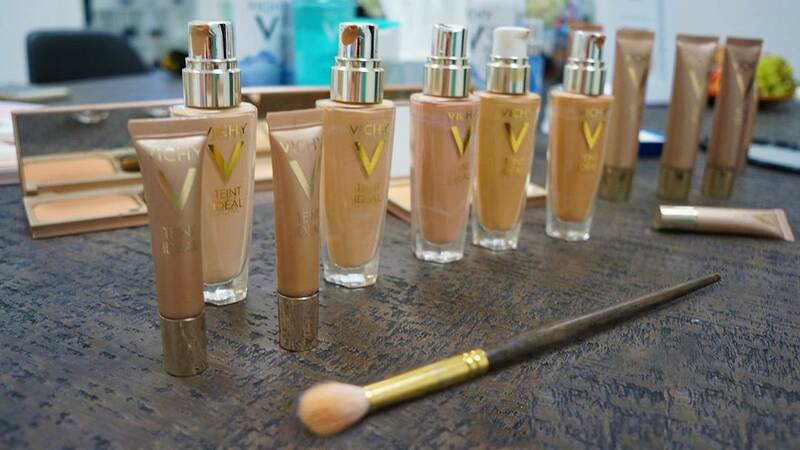 Vichy’s powder foundation comes with a flat sponge brush and glides on smoothly. I was matched with their “Light” shade, and I don’t need to use a lot to cover up the redness in my cheeks. Travelwise, I love this product. The packaging is lightweight and is made of plastic. It has a reliable closure which keeps the compact from opening in my makeup bag, and the addition of the spot for the sponge means I don’t have to have my dirty makeup sponge messing up the rest of my bag. The bronzing powder is my second favourite of the line-up. The one shade may be a problem for those with darker complexions, but for me, it is perfect for adding a bit of colour. Travelwise, it has the same packaging as the powder foundation which makes this duo my go-to for travel. I have to admit I have never been a big user of concealer before and I had never heard of illuminators. The ease of application with the roll on packaging and the light consistency was fantastic. It rolls out so liquidy, so you only need a small dab. It covers dark spots and under eye circles as well. The illuminator was just a nice final touch. It added some sparkle, and when applied to my face, and added a reflection of light to the brow bone and the corners of my eye specifically. Travelwise, both these roll-ons are small and easy to pack. I have to mention the day I had my foundation consultation it was over 30 degrees outside. Talk about putting their makeup to the test. 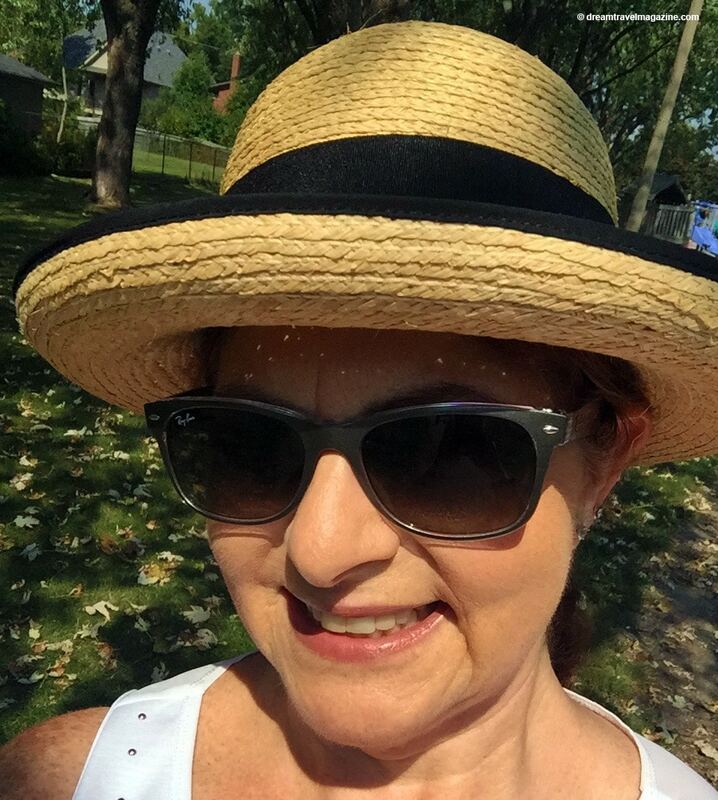 I was out in the heat for hours, and the foundation did not run off my face. By the end of the day, it looked as good as new at the end of the day. Even with a full application of a combination of all the above foundations, it didn’t feel heavy on my face. From creams to powders this product goes on effortlessly and blends nicely into the skin. Disclosure: I did not receive compensation for this post. 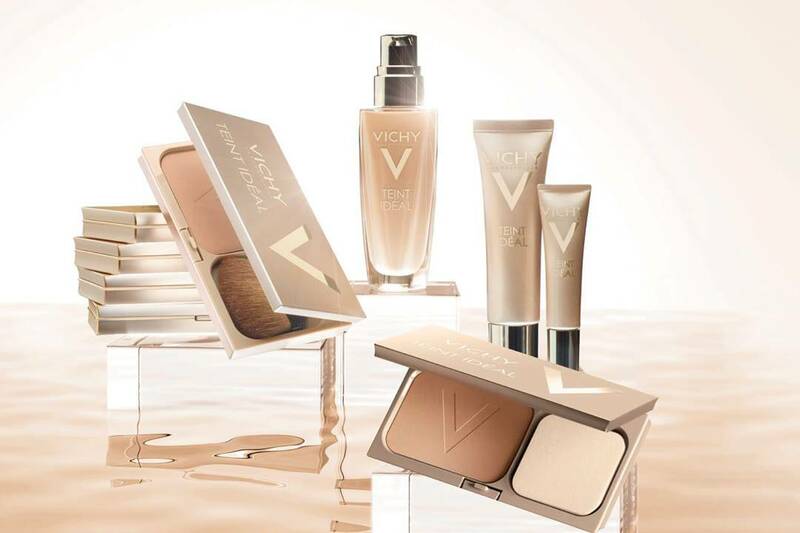 I received a selection of Vichy products for review purposes only.